Mercedes-Benz GLE Coupe Performance, Engine, Ride, Handling | What Car? Let’s start at the top of the range with the V8 AMG model, which has no problem shifting its huge bulk down the road thanks to its 5.5-litre turbocharged V8. 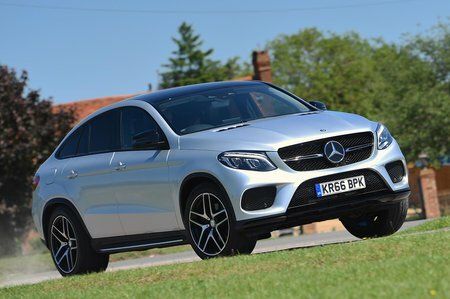 It’s a mighty engine that feels fantastically eager to pull the GLE Coupé along from low revs, building to scarcely believable thrust near its redline. Of course, there’s a suitably brutish V8 AMG soundtrack to go with it, cracking and popping on gear changes and off the throttle. The AMG 43 model isn’t quite as gutsy low down, and doesn’t continue to charge down the road in quite the same way at higher revs, but it certainly isn’t slow - nor that far behind the AMG 63 in reality. Its noise isn’t quite as thuggish either, but there’s no missing its V6 howl. Most will go for the 350 d diesel, which swells its large reserves of torque at low speeds with a guttural muscularity. Being a diesel, it doesn’t rev out as willingly, but again, it has a considerable and pleasing amount of pace once it’s up and running. Sadly, Mercedes’ nine-speed automatic gearbox (standard on the 350 d and AMG 43) isn’t quite so stellar - it often dithers from stationary junctions, even if it becomes better on the move. The AMG 63 gets its own performance-orientated seven-speed gearbox, which feels the sharper gearbox in auto or manual mode across all driving situations. The 350 d and AMG 43 places comfort firmly before agility, because its standard air suspension deals with the majority of bumpy UK roads really well. Only the sharpest, flattest-faced ruts and potholes send their bodies into a slight wobble. The AMG 63 model gets air suspension, too, but it’s tuned by AMG to be taut in the name of better cornering. Unfortunately, this means a more unsettled ride across our broken roads. 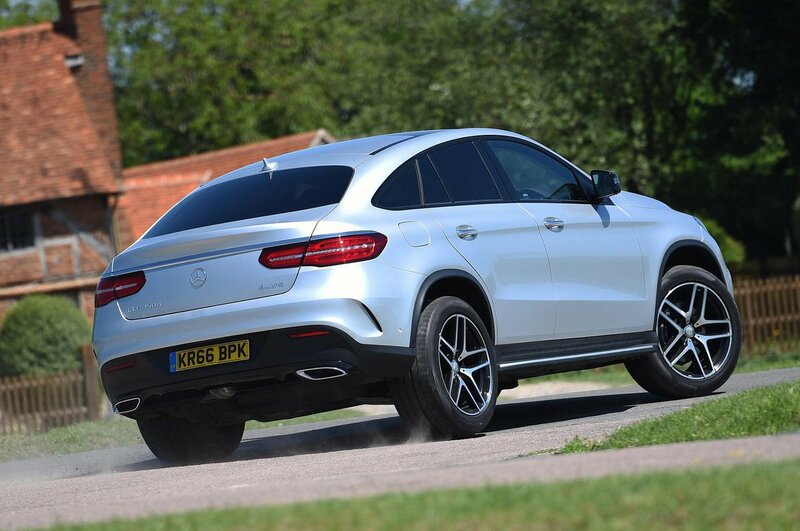 In truth, although the AMG 63 is the sharpest of the GLE Coupés thanks to its trick chassis, no GLE Coupé feels outright nimble to drive. There’s pronounced body lean - especially in the softer 350 d and AMG 43 cars - and no matter which driving mode you choose, its steering provides little in the way of communication or confidence when cornering at speed. Although no large SUV can claim to be sports car-sharp, a BMW X6 feels more agile to drive.